Watching a business use social media to build a bridge with customers is pretty cool. Watching a local government use social media to talk to constituents is even cooler. Living in Troy, NY, I’ve had the opportunity to watch Troy Mayor Harry Tutunjian (@TroyMayor) and other elected Troy officials use social media in a lot of really cool ways over the past couple of years. I’ve watched them use social media to disseminate information during emergencies, answer questions/concerns from residents, and even use it to announce when free ice skating or other events were happening in the city. Because the City is so active, it’s given me another way to engage. 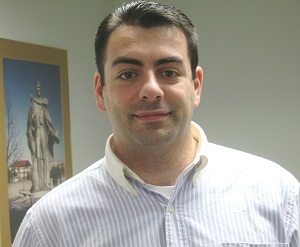 Recently I had the opportunity to chat with Jeff Pirro (@Jeff_Pirro), the man who serves as the Deputy Director of Public Information for the City of Troy and Mayor Tutunjian. Under the direction of the Mayor, Jeff has done an incredible job maintaining and expanding the city’s media outreach, including the use of social media and founding the City’s Facebook page. I wanted to talk to Jeff a bit about Troy’s efforts in social media – how they came to be, where they’re going and the impact the City has seen. Below are his responses. 1. Hey, Jeff. You and I know how hip Troy, NY is, but others may not be so familiar. How did Troy first get involved with social media? Where did the effort start and who was responsible for it? When I was hired as the Deputy Director of Public Information, Troy had the standard press operation most governments have of issuing a press release, posting on the Web, and waiting for the media to report on it. However, I saw a city the Mayor revitalized by attracting new, young, and urban professionals to the city, which coincidentally has three colleges and close to 16,000 students in it. These are people that engage in information receipt and distribution a totally different way. The initial foray into social media was more out of curiosity; I wanted to know what those new professionals and college kids were saying about the city. To my surprise, nobody locally created a fan page of Troy on Facebook, which is when I created the page. Instantly, the value of this new method of outreach was apparent. I approached the Mayor with the idea that we should be on Twitter – he as the city’s executive and me as the city’s spokesman. Initially he was reluctant, but since he’s embraced it more than any local government official. 2. How have the accounts gained followers? Have residents found you or have you gone out and befriended locals, getting the word out that way? At the outset, I used the standard methods of promoting the Facebook page by messaging my friends and posting on my personal page. Many of our followers are current and former residents who want to know what’s happening here. I’d say the balance of people who don’t fit into either of those categories are people that recognize Troy’s resurgence and want to know what’s going on here. Lately, I’ve been working on identifying ways to expand our presence by networking with local blogs. Also, I’m looking to engage local colleges by creating an internship whereby the individual uses their own social media to expand our presence in a peer-to-peer way. Our efforts attracting friends and followers is something we need to improve, in my opinion. 3. Troy’s done a great job utilizing its social media accounts and building the early stages, assuming it was up to you, how would you like to see future Troy representatives continue Troy’s social media use? I think one of the benefits of a social media outreach program for any municipality or government is the personalization of such an effort. Especially lately, people are tired of governments being paternalistic and anonymous. I believe people want to see the faces behind the curtain, especially because their taxes pay my salary. My hope is that the social media outreach never gets too formal or “corporate” and it always remains the personal touch that people are looking for, in my opinion. Frankly, I don’t “own” the Facebook page that I created, which is why it started as a fan page, or as Facebook as recategorized it, is now a Community Page. It’s not the official Business Page. Simply because I’m the first doesn’t mean I have to be the only and never expected to be. 4. How has Troy used Twitter and Facebook to keep residents informed or connect with them? Has it allowed you to do things you wouldn’t have been able to otherwise? In my role as spokesman, I’ll determine the nature or urgency of the information needing to be disseminated and decide if it should be posted directly to Facebook. That’s if it originates with our office. I post or tweet things that I think people should know as it relates to Troy. I don’t impose upon myself a rule that states, “Only share information about Troy should or will be shared”, though I think that’s most people’s expectations now. Most of the content is generated by the local news media; I simply link to what is being reported. Again, I think this allows us to reach out to a new generation of residents that maybe don’t rely upon traditional media to get their information. It’s also allowed us to create awareness of the brand that is “Troy, NY” by establishing a relationship with folks on their level. 5. What do you think is important for cities or local governments to know BEFORE they get involved? Any lessons you’ve maybe learned the hard way? I think it’s important that cities recognize most people don’t value these social media outlets as important tools in resident outreach. I’ve taken some knocks for “Facebooking all day” or sending tweets that aren’t directly work related. Those are not unreasonable criticisms, either, when you consider these people are working to pay the taxes that fund city government. I think social media is a generational thing and people of a differing generation don’t understand the use of these tools in the way that we do. That doesn’t mean they don’t understand them; it’s just these things fit differently into their worldview. Just as FDR harnessed radio for communication and Ronald Reagan mastered using television as a communication medium. That being said, this is government and sometimes, along with government unfortunately comes politics. I’ve taken some lumps from that direction too but that doesn’t bother me at all. As I’ve said before, if there were a Democrat in my position, Republicans would attack his or her motivations too. 6. In what ways (if any) has being involved in social media helped the city? How has it complemented your other outreach efforts? Really our social media outreach is the virtual embodiment of the city, not the other way around. The things the Mayor does are promoted by our social media but not driven by it. Troy is hip both as a place to live but also work and play. Part of attracting or connecting with those “new urbanists” (as I call them) who want that city feel with small town benefits is to find them where they are and they’re on Facebook, Twitter, YouTube, etc. Frankly, we live in two worlds nowadays – the virtual and actual. We can’t always connect with a resident’s concerns in person; giving them that virtual access, I think, pays dividends beyond satisfying an immediate need. 7. Any disadvantages being on social media that you weren’t expecting? We didn’t really go into this with any expectations so virtually the whole experience has been a learning experience. I’m still learning how to responsibly expand our outreach while providing a value for the residents. 8. Would you encourage other local governments to become involved in social media? If so, what advice would you offer them? Yes, I would but I’d offer one piece of advice: To understand the small “p” political dynamics. The person in charge of the page must have the credibility to post things they believe have an actual utility or are important. It will help blunt the charges of political machinations. Additionally, I would encourage them to develop an approved way of interacting with people that post on the page. I’m a strong supporter of keeping insults, anonymous postings, and attacks on people or groups off the page and conversely, would like to engage in conversations with people. Perhaps in the future that’ll be an option but the way it works right now, works right now (for lack of a better term) so why upset the apple cart? I want to thank Jeff for taking some time to chat with me about the City’s social media use. I sometimes take a few lumps for choosing to live and work in Troy, NY, but the truth is, there’s no place I’d rather be. I love this city and a big part of that is because of the people who live here and the pride everyone takes in being a Trojan. We’re all connected and the strong stance Troy’s taken on social media, coming directly from the Mayor’s office, makes us even more so. What about you? Is your local government active on social media? Do you wish they were? What kind of things would you like to see from your government, if any, in social media?